Just a quick post for a quick dinner tonight. 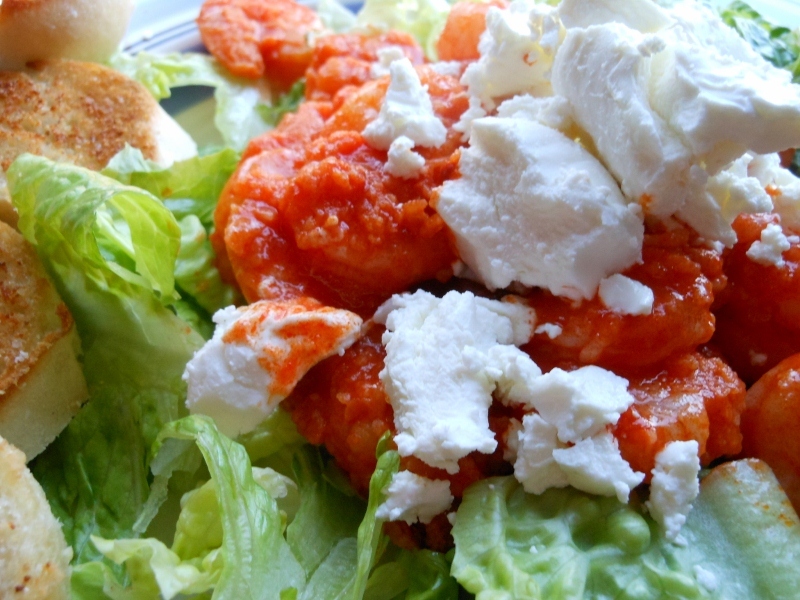 I fixed buffalo shrimp served over torn romaine lettuce with goat cheese. Really a simple fix; Sunday’s are always a busy day for us so I am not usually up to cooking something too complex. Our weekend is never on the traditional weekend so for me Sunday draws the week to a close and leaves Charles with one more day to go till his “weekend” begins. Drain shrimp and pat dry. Toss with flour and fry in hot oil about 1 – 2 minutes. Do this in a couple of batches to keep from over crowding the pan. Drain well on paper towels and toss with hot sauce. Meanwhile tear up lettuce and divide among plates. Top with shrimp and crumbled goat cheese. 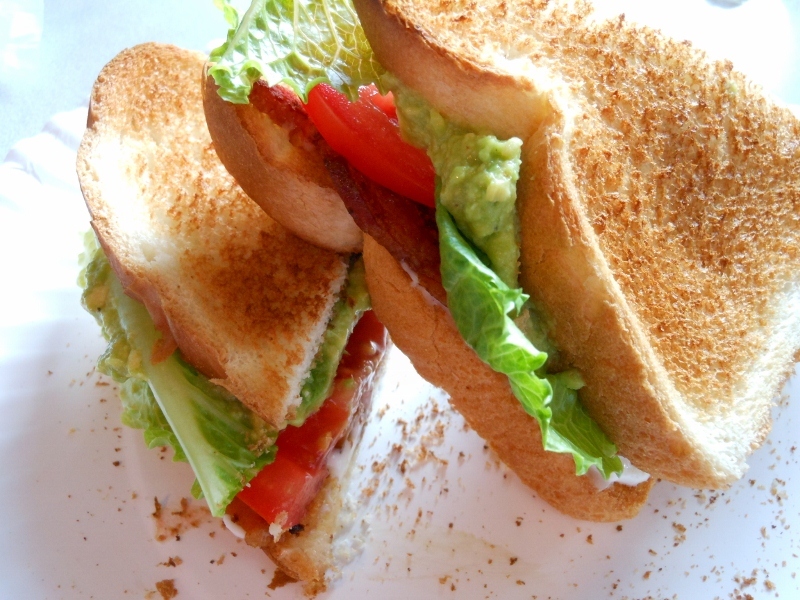 There isn’t much better in the summer than a BLT with garden fresh tomatoes. My tomatoes are still a week or so off though and the farmers at the farmers market weren’t selling them either so I did have to settle for a store-bought tomato not quite as tasty as the home-grown kind but much better than they used to be. 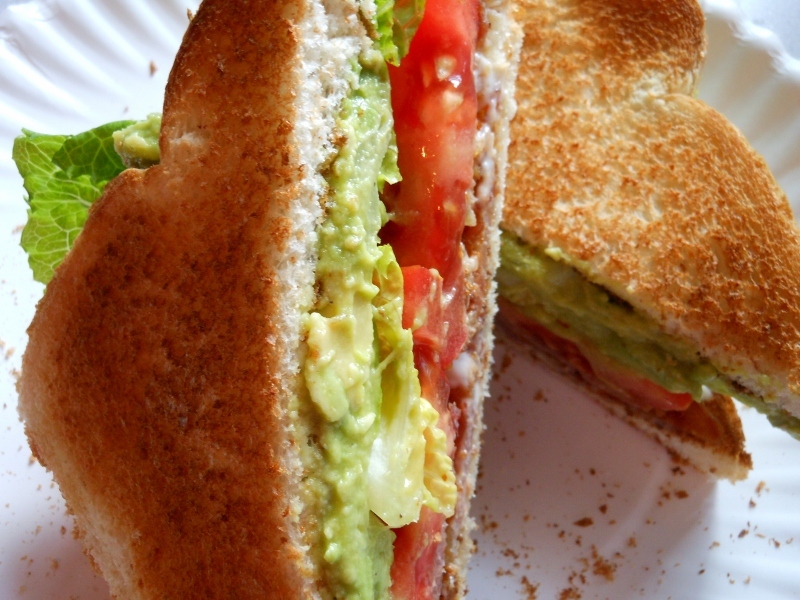 As for the avocado, last summer I was spreading the mayonnaise on my sandwich when I looked over and saw the avocado setting there all lonely; it just seemed like a natural addition and I don’t think I’d have it any other way. Next time I might even try using homemade guacamole! Cook bacon as desired ~ here’s the link to my baked bacon technique. 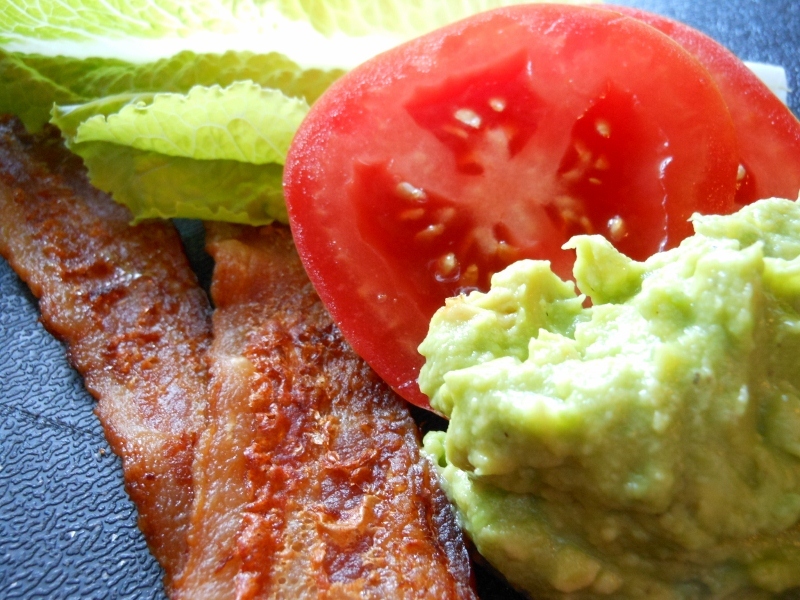 While bacon is cooking slice tomato and remove lettuce leaves. Mash avocados with fresh squeezed lime and a bit of salt and pepper to taste. Once bacon is cooked remove from baking sheet and drain on paper towels. Toast bread; spread toast with mayonnaise on one piece if desired and plenty of avocado on the other. 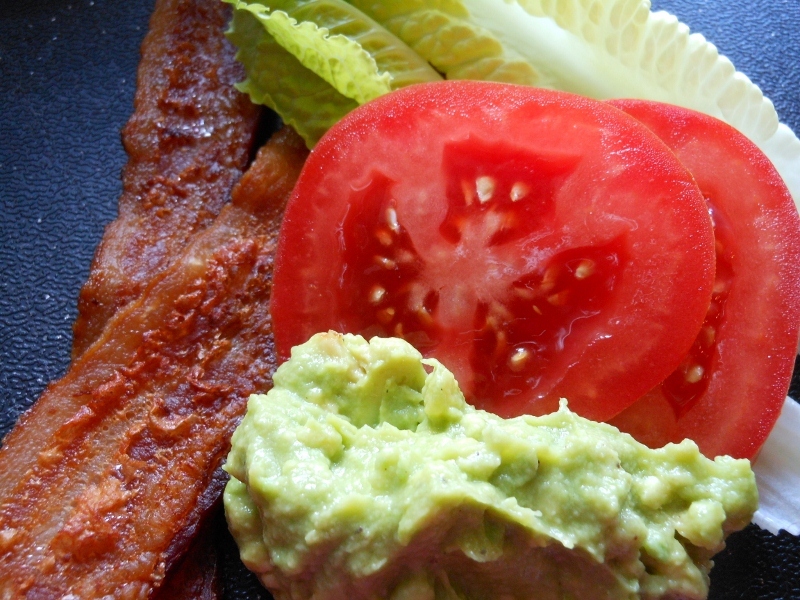 Add bacon, lettuce, and tomato. 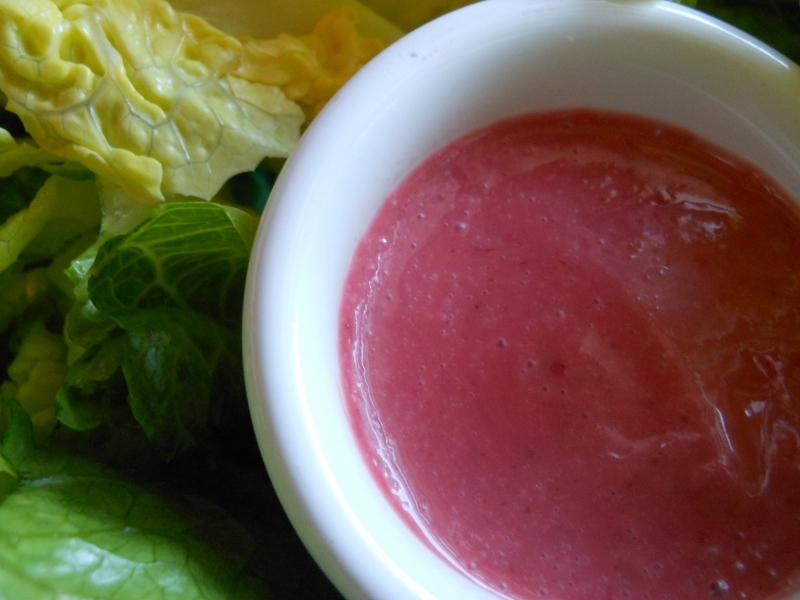 Just a quick post today of the salad dressing I made today. Very good; quite a bit like the strawberry dressing I make. I like the way the basil and raspberry work together. 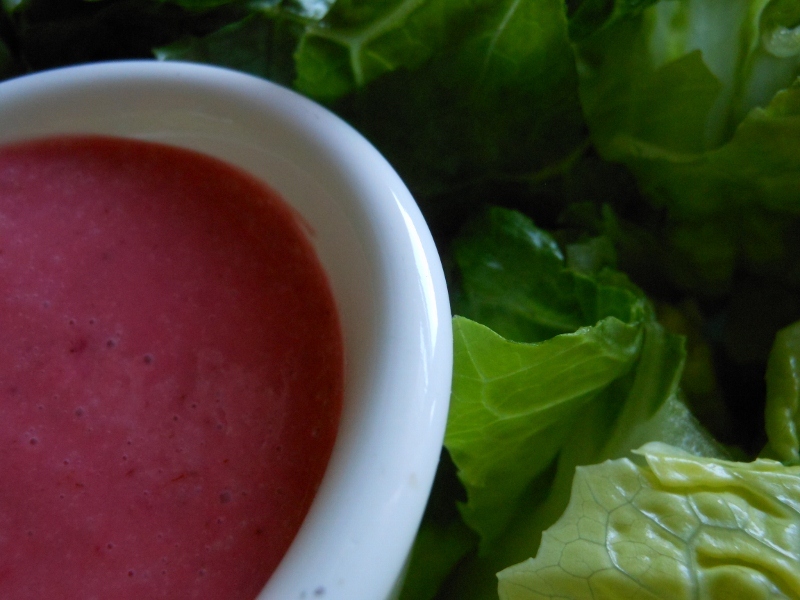 A nice creamy dressing for summer salads. In blender combine all ingredients. I just washed the basil leaves and let the blender do the work. Adjust the salt and pepper as desired. Strain through a sieve to remove raspberry seeds. 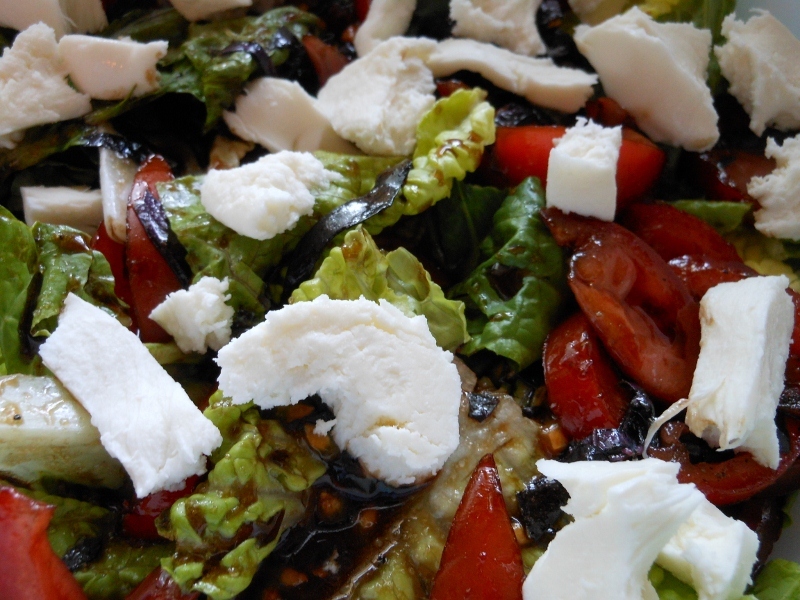 I wanted to make a nice salad with our lasagna so I decided to go with a vinegar based dressing and fresh tomatoes. Not exactly a vinaigrette but a nice tangy herb dressing none-the-less. Traditionally vinaigrettes have about 3 to 1 ratio of oil to vinegar and I just don’t see the need to add that much oil to salad dressing. My love of cheese takes care of any fat I may be missing out on so I like to get my flavor from the herbs and vinegar! My sister bought me a tasty apple balsamic vinegar for Christmas; substitute a favorite vinegar if you have one or I am sure a simple rice or red wine vinegar would be tasty too. 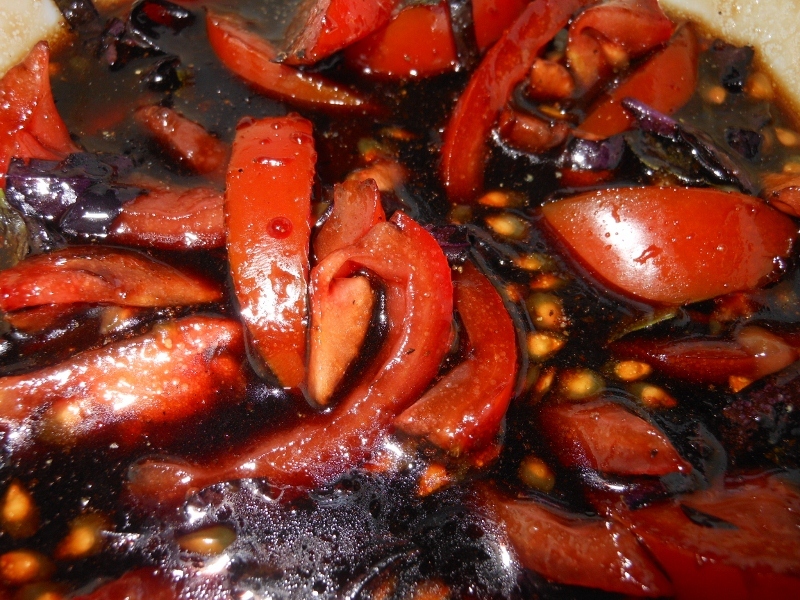 Cut tomatoes as desired and add basil, sugar, vinegar, and olive oil. Stir until blended; season with salt and pepper to taste. 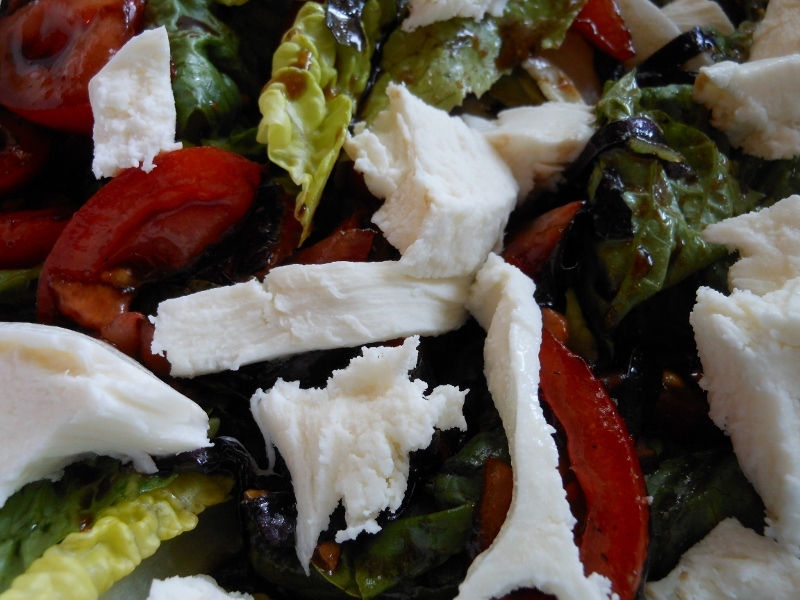 Toss with torn lettuce and sprinkle with fresh mozzarella.